Thank you, Lord, for the sound of the clock ticking. You don’t hear the sound of ticking clocks much anymore, now that everything has gone digital. We have a digital clock on the DVD player, on the stove, on the microwave, on the radio and on the coffeemaker. I can sit in one place and see all five of these readouts at once. 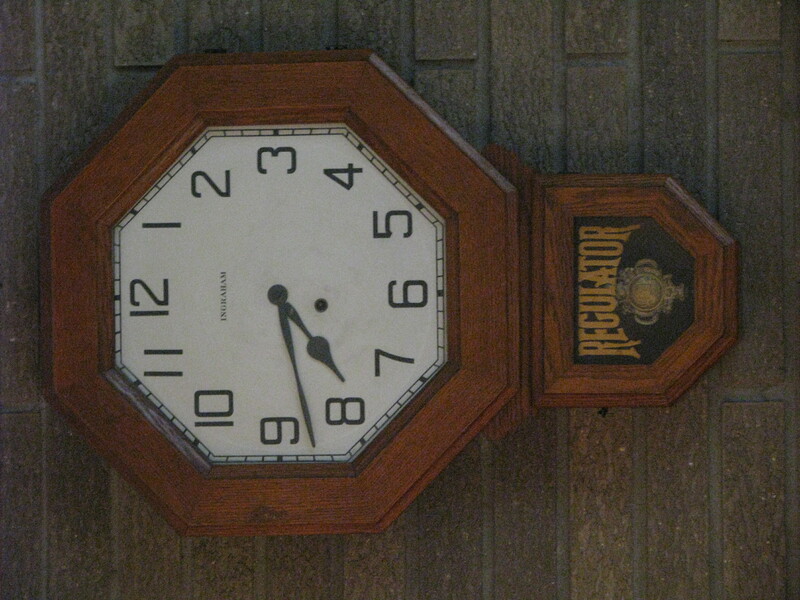 But when I want to know what time it is, I always look above the mantel to the old Regulator. 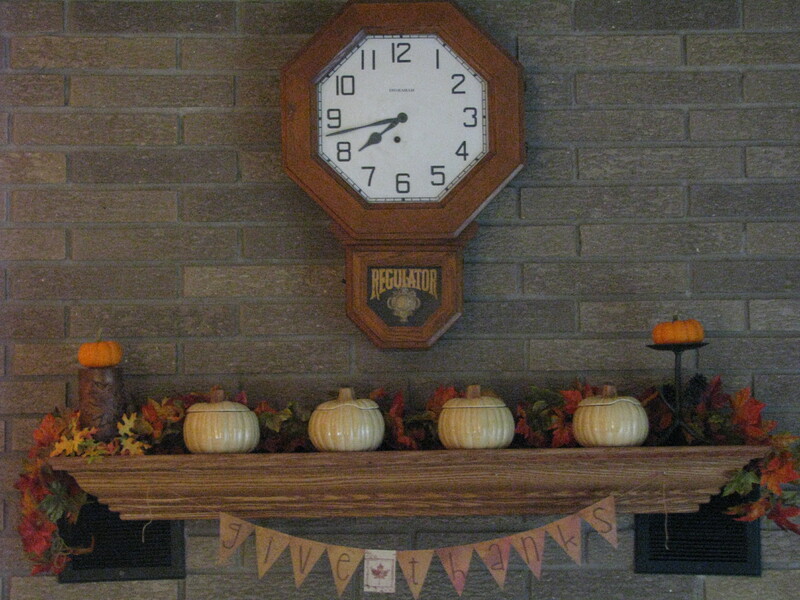 My mom bought the antique when I was young, so I grew up with the sound of that clock ticking away. Then my kids were raised to the steady rhythm. It is the heartbeat of our home. Visitors sometimes have a hard time with our clock. They say it’s pretty loud, but I don’t even hear it. In fact, I don’t notice the clock unless it stops; then there is an eerie quiet in the house that feels empty. So every five days or so, I perform the ritual of past generations. I take the key out, wind up the mechanism and give the pendulum a little push. Tick-tock. Tick-tock. All is right with the world. I’m thankful for the sound of the clock ticking because that means I’m still ticking. Yes, time is ticking away, but every tick is a moment to appreciate and every tock is life…life… life…life. This entry was posted in Devo Drops, Family File. Bookmark the permalink. Ah, yes! The old clock! It was much louder than we all realized! You are so right….those of us who lived in the house never heard the tick tock in the background. However, I recall an episode when Mom recorded something from a television show (remember the old reel-to-reel tape recorders? ), and when we played it back, there was this terrible banging noise. We thought that perhaps we didn’t notice that someone was using a hammer somewhere in the house, or that a child was making noise while playing with a toy (might that child have been you….??). After listening to the recording several times, it suddenly dawned on us that the banging noise was the clock! I do not remember what Mom recorded, but I do remember that we captured the tick tock bang bang of the old regulator clock, and that Mom was quite disappointed that her recording was basically ruined. The recording is gone. The clock is still ticking. All too often I plow through the busy-ness of the day without stopping to hear God knocking at my door. If I wait for the replay of my “recordings” in this life to hear the knocking, it may be too late. He is there knocking everyday. Do I hear Him? Sometimes, yes. But sadly, not always. P.S. I am not trying to match your devotional writings with my replies. It’s just that these thoughts popped into my head while I was typing my response. I love it! I was hoping that my small thoughts would spur on others’ thoughts. I guess most of my readers are too shy to reply! It’s fun reading what you remember. Ten years difference creates different perspectives. I don’t remember what mom was recording off the tv, but she did go downstairs to tell one of the boys to stop hammering! Except there was no hammering! Can you imagine using a reel-to-reel tape to record the audio off a tv show?! We’ve come a long way. Keep those thoughts coming! It makes my day!